Organic bamboo cylinder plug earrings with flower burnt designs on the ends were handmade in the USA from natural materials. No two pairs are exactly alike. 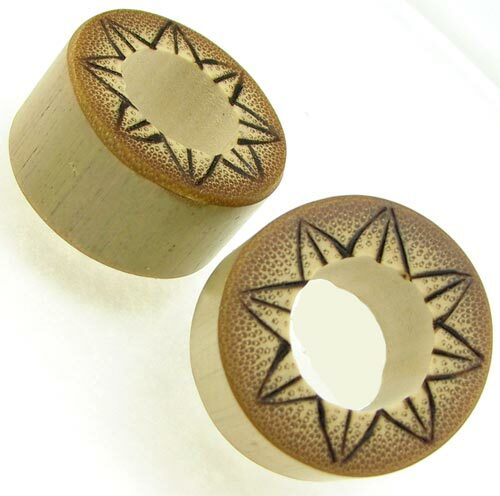 These 1 inch plugs are comfortable jewelry for large stretched piercings. Available in 1 inch diameter size. Other fractional inch or gauge sizes can be ordered, Contact Us for more information. 1 inch Select your size and click "Add to Cart".